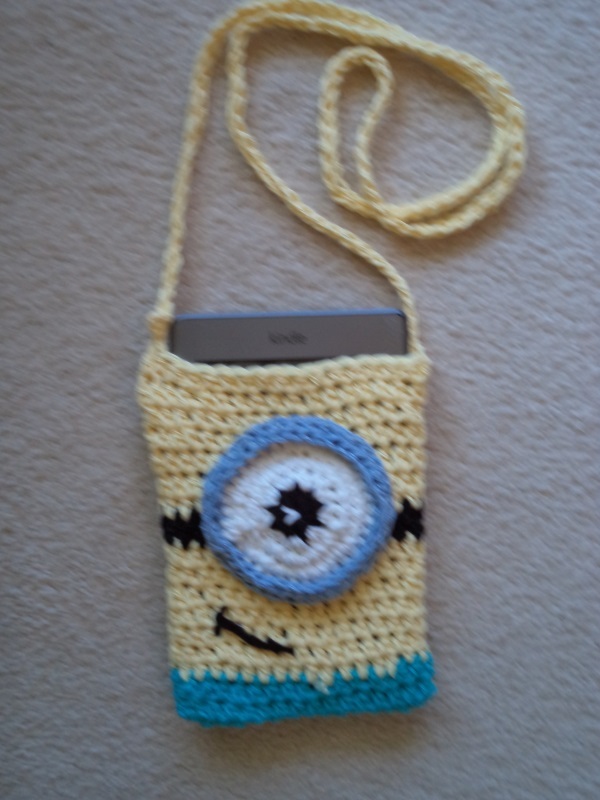 I have been watching the minions crochet craze just continue to grow and grow. I finally had to make one. I take my Kindle just about everywhere and need a way to have it and my hands free at the same time. I also need to be able to take my debit card for groceries and such so I need a handy place to store that. Got it all in one. 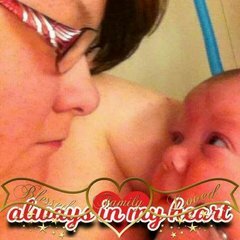 I may make another one - hoping to improve the sizing next time but this is so-o-o-o-o cute. I jumped onto the minion bandwagon too. Currently working on a minion pillow. That is sooooooooooooooooooo cute as you say. I love the minions. Clever making a pouch for the card. 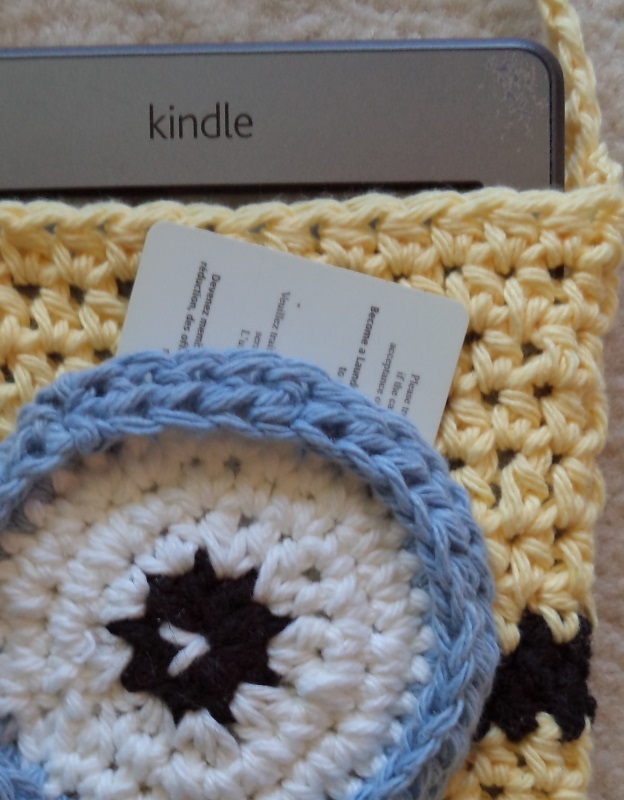 Your Kindle cozy is sooooo cute! Yes....I'm a Minion nerd too thanks to my great-GD's. Just love those little scamps. And my great-nephew can talk exactly like them. For de-stashing, how about a Minion doll costume, Chapstick covers, key chains, cell phone cover, throw pillow, hat, scarf, Minion Lovey blanket, the list goes on. Pinterest has a ton of reference. Ravelry has some patterns too. Have fun! Darski that is really cute! Couple months ago I made a Minion hat for my little neighbor. He is about 6 years old. He was so happy to get that hat. After that his mother told me that he was wearing that hat constantly, even inside the house LOL. He got a sister, I love to crochet stuff for little girls. I am not too crazy about little boys stuff. I never know what to crochet for them. BUT, I can't forget about him because that would not be nice. So each time I make something for his sister I need to make something for him. Now I need to make something for him and have NO idea what to make..??. All I know it needs to be something that will be fast to make. 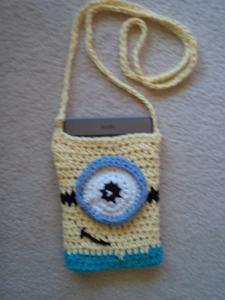 Can't crochet a phone or a kindle pouch, he is too young for that. He probably dos not have any of that yet LOL. Anyone got any idea what I could crochet for him? You could just make him a nice sized pouch and tell him it is a "secret Keeper" for his own personal stuff. I like Darski's suggestion. Also, some kind of "Treasure Bag"; made from 2 squares or even a softie toy. There are several patterns on Ravelry. Thank You Darski & ReniC those are great idea! So cute and handy, I love it. You could always crochet a small pouch for loose teeth.